Stick a fork in the Red Sox: They’re done! The Boston Red Sox ‘fall from grace’ has been extended for a third consecutive year; only this year will end up being the worst of the three. Bad decisions, poor leadership, complacency, and irresponsible signings, have all played a part in the storied franchise’s demise. Ex-G.M. Theo Epstein had been responsible for some pretty bad signings since coming to the Red Sox; Mike Cameron, Matt Clement, Julio Lugo, J.D. Drew, and one of his worst, John Lackey. However in the off-season of 2004 he did make one move that was instrumental in turning the team around and ending the famous ‘Curse’ that had been hanging over the team ever since Babe Ruth was traded to the hated Yankees in 1918. 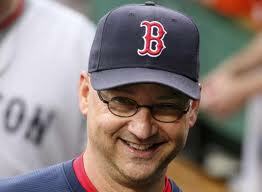 And that was the signing of a quiet, non-assuming, relatively unknown manager, Terry Francona. In his seven years at the helm, Francona took the Sox to the Post Season 5 times, winning two World Series in the process. And then everything started to unravel up in Beantown. The Lackey $82 million signing, turned out to be a bust. In his two years with the club, (’10-’11), he compiled an abysmal 26-23 record and will now miss the entire 2012 season due to Tommy John surgery. This is a pitcher that has won 128 games over his 10 year career and has a 4.10 ERA average over that span. One that never was never worth $82 million! Then there was Josh Beckett and his $68 million contract. Since 2010 he has a 24-23 record to go along with a lifetime ERA of just under 4. Then there’s the highly publicized Carl Crawford fiasco, a player that the Sox did not need with Jacoby Ellsbury on the roster. His deal was for seven years and cost the Sox an inflated $142 million. 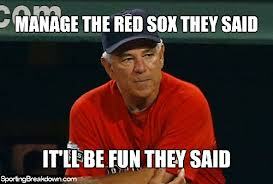 Probably the worst decision that Boston made was the signing of Bobby Valentine. Clearly Terry Francona had ‘lost’ his team due to their complacency and lack of discipline. Who can forget the players enjoying fried chicken and beer while games were being played? It was as if once that monkey was off of Boston’s back and they were able to capture not one but TWO World Series rings, everyone from management on down just relaxed too much and rested on their proverbial laurels. Hard to blame the players because as with anything in life, success or failure begins with management; whether in large corporations or even the military. Valentine, although an able, and knowledgable manager, had previously had success only with the 2000 Mets who he led to the World Series ( and lost) to the Yankees. But even with that success the New York clubhouse was filled with players either hating Bobby’s managerial style or loving it. His comments, at times, were way too volatile for his players and the press had a field day writing about them. Eventually, the Mets faltered and it became too disruptive an environment for him to stay in N.Y., so he took on a position managing in Japan. Valentine comes to the Red Sox at the start of 2012 and incites the clubhouse and the fan base after just two weeks into the season by publicly calling out local hero Kevin Youkilis saying, “I don’t think he’s as physically or emotionally into the game as he has been in the past for some reason.” Said in private behind close doors, this would have been fine. A manager is, after all, allowed to call out any of his players, but the good ones insure that his words are not for the media; just his player(s). Not sure if Valentine ever really had his team’s ears after that. Yes, injuries were abundant, but so were they on teams like the Yankees for example. And yes, the players are the ones who are getting paid the big bucks to perform. But they weren’t and now Boston has had two managers in two years that have ‘lost ‘ their team…Is it the managers fault or the players? This year is over for the Sox; they are as done as three-day old meat loaf! The starting pitching is horrendous. Will Middlebrooks is likely finished for the season with a broken right wrist and they are 12.5 games out of first place. Even though management has come out publically to proclaim that Bobby Valentine will finish out the season, it wasn’t exactly a ringing endorsement of the beleaguered manager and is therefore hard to fathom that he will be brought back next year. This is a club that doesn’t need a high-profile manager. The fans and the players want and need for baseball in Boston to be about them and not the manager. A “Terry Collins” type of leader is what would work for them next season for example. Excellent analysis of their downfall. Not personally a fan of Bobby Valentine’s managerial style. It’s a pity ESPN still hasn’t figured out there are so many better stories in baseball this season than the Yankees/Red Sox rivalry. The rivalry needs to take a break until the Red Sox become relevant again. It wasn’t a revolt by the Red Sox players when they met with the front office , it was just their way of discussing upcoming strategies . 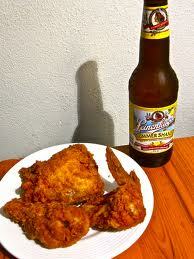 Beer , chicken and “hookers” in the clubhouse . Fantasy Man- V had a lot to overcome this season, what with all those injuries, bad contracts and even worse attitude. That said, he only provided more division to a fractured clubhouse and he’s got to go. I dig your take on this story. Thanks man! I hear you but lots of teams had a host of injuries. The Yankees, 23 games over .500 lost Gardner, Pettitte, Teixiera, CC Sabathia, (stop me when you’ve heard enough…) A-Rod, Mariano Rivera, etc…Injuries are part of the game. Valentine alienated himself from the clubhouse right at the beginning of the season and lost the club after the first 2 weeks. And yeah, he’s gonna go, right after the season ends. Bank on it! You’re preaching to this Yankee fans choir. I hear you. I just happen to be one of the few baseball fans who digs Bobby V. I don’t appreciate his guys doing him that way is all. I’m not taking you on, believe me. In fact, you’ve inspired me to do a football post. Tomorrow night, I’m thinking. Just for you, and Stephen. My go to guys on all things sports. NIce article, I agree totally, Bob Apadaca was Valentine’s picting coach in New York and in the minors for the Mets,he recently was fired by the Rockies. If valentine survives the off season he might try to bring “Dac” back with him. While we are on the subject of managers on the hot seat, would you bring back Terry Collins ?? Part of the problem in Boston was that Valentine wasn’t allowed to bring his own coaches with him. That spelled doom from the get-go. I always liked Apadaca but if he does end up in Beantown, it probably is too little to late to save Bobby V.
Collins should come back. It isn’t his fault that the Mets organization including Sandy Alderson went out and spent eleven dollars on the team! Collins is the type of manager that the Red Sox need but I hope he stays put with the Mets.